We are looking for healthy adults and caregivers to participate in a research study at the University of Nebraska at Omaha (UNO) involving questionnaires and computer tasks. 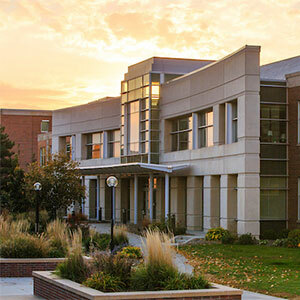 The study involves a one-time visit of 3 hours at a lab located at UNO. Compensation for study participation is available. To be eligible for the study, you must be between 19-110 years of age. 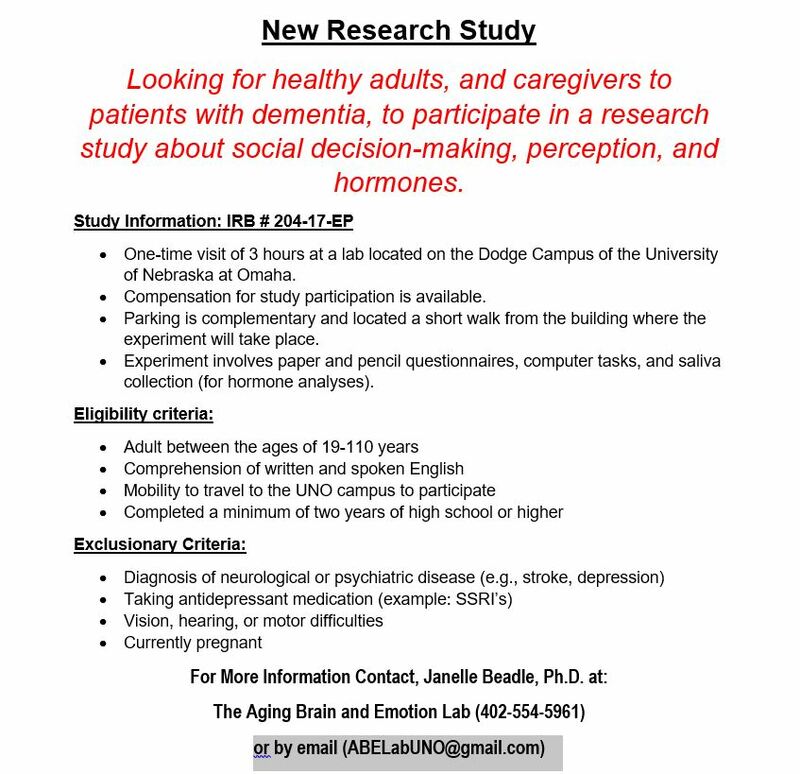 For more information, please contact: Janelle Beadle, Ph.D. at 402-554-5961 or by email at ABELabUNO@gmail.com.